Are you looking for creative DIY Costumes for Kids? 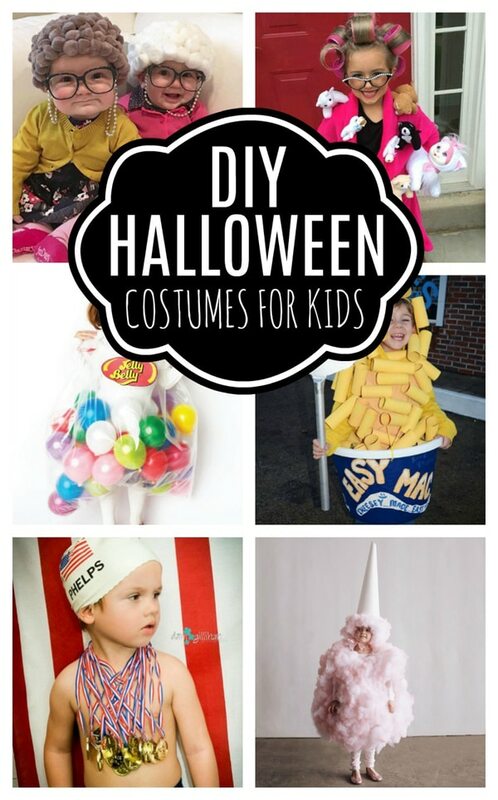 If so, you will love this list of DIY Kids Costumes! Dressing up for Halloween is the best part of the holiday, especially when you’re a kid. If you’re one of those parents who loves getting super creative and making DIY Kids Halloween Costumes, then you’re in for a real treat with this list of the best DIY Kids Halloween Costume Ideas! There are so many unique DIY Halloween Costumes For Kids that you can make at home. Some of our favorite DIY Kids Halloween Costumes include the Cat Lady, Old Lady Sisters, Cotton Candy Cutie and Mac and Cheese in a Cup! All of these DIY Kids Costumes can easily be made at home with a little time, a little patience, and a little creativity. Many times, the best DIY Halloween Costumes for Kids are the ones that are homemade with love from Mom, right?! You might also save yourself some money making these easy DIY Halloween Costumes. You don’t have to go and spender over $50 for a store-bought Halloween costume for your kids. These DIY Halloween Costumes For Kids will be a total hit at any Halloween party and you may even win a Halloween costume contest or two! So this year, be unique and get creative by making a DIY Halloween costume for your kids with these fantastic ideas everyone will love! 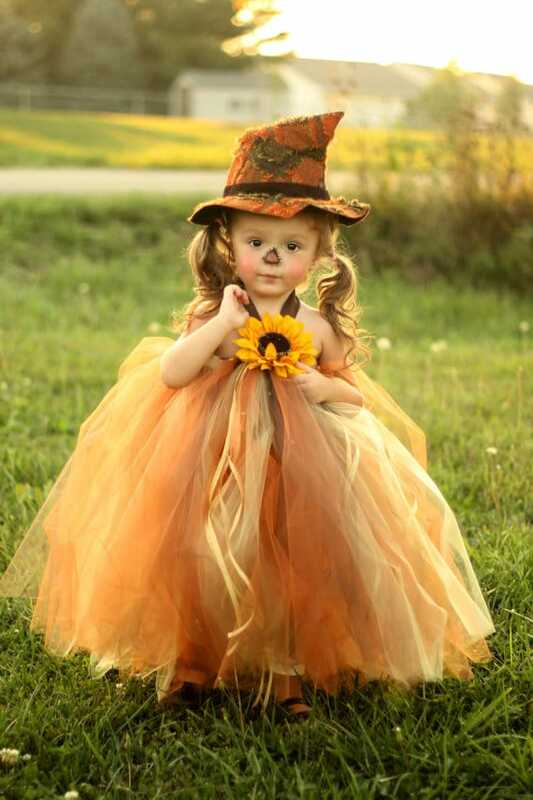 This DIY Halloween Costume For Girls is too sweet! Do you have a little one with a sweet tooth? Why not make your child Cotton Candy for Halloween?! Yep, that’s right. 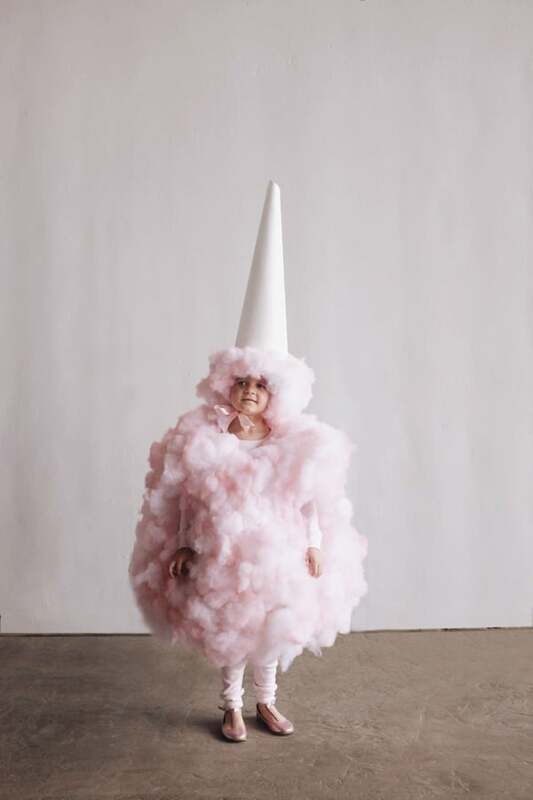 Just make this fun DIY Cotton Candy Costume! Everyone will love this unique DIY Kids Costume. Plus, you will get bonus points for most creative. Halloween couldn’t be any sweeter than with this cut DIY Halloween Costume. This DIY Halloween Costume For Kids is pure genius! It’s a cute idea for a boy or a girl. What kid wouldn’t want to be Halloween ready with this DIY Balloon Bubble Bath Costume?! Seriously, how adorable is this? This DIY Kids Halloween Costume will definitely win some Halloween costume contests because of it’s creativity. 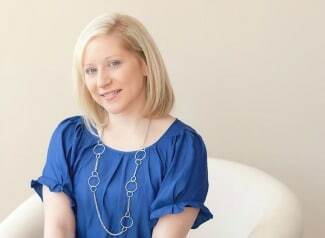 We all know that one women who has a lot of cats. This Crazy Cat Lady Halloween Costume is so easy to put together. It’s definitely the most creative yet easiest DIY Halloween Costume For Girls. 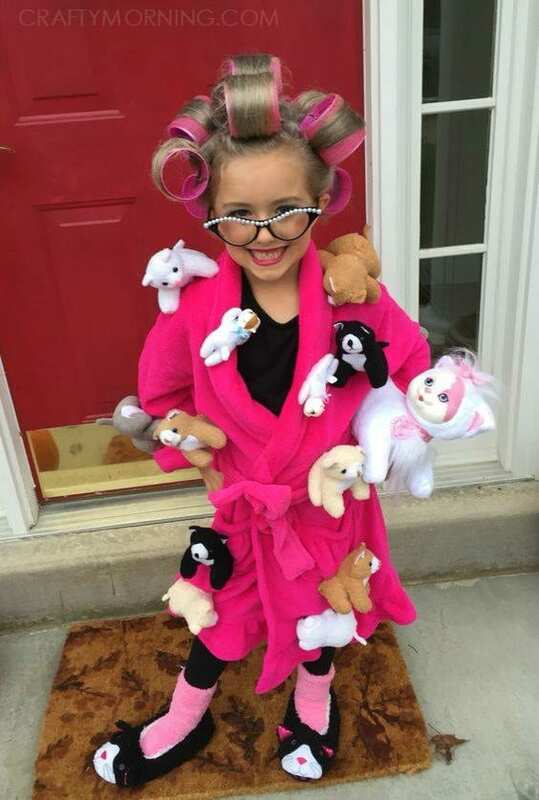 Just grab some of your child’s stuffed animal cats to attach to a robe, add some crazy cat lady slippers and some curlers and you’ve got yourself the best DIY Halloween Costume For Kids! Another Easy DIY Halloween Costume For Kids is this DIY Peter Pan Costume?! 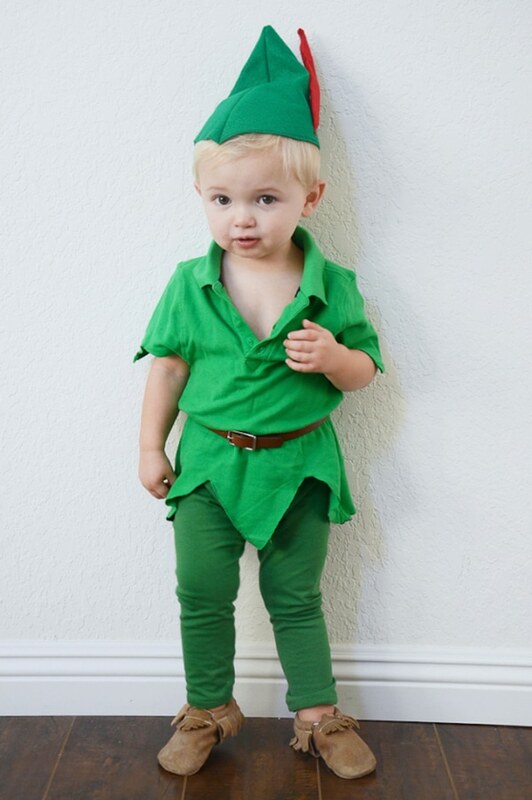 Your little boy will look so adorable as Peter Pan this Halloween. There’s not much to this costume, and if you can find some green pants and a shirt around the house, you’re half way there to the most adorable DIY Kids Costume. Here’s another super creative DIY Kids Halloween Costume that will take home some awards! 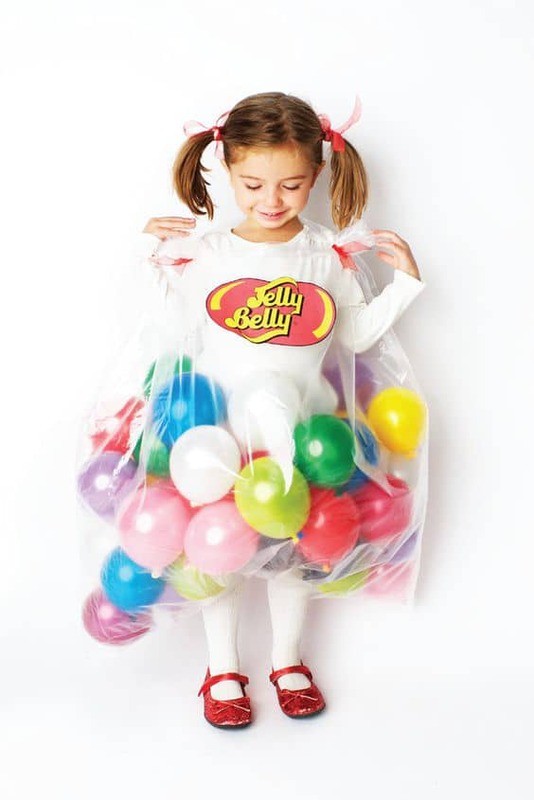 This Jelly Belly Costume is so easy and can put together last minute. All you need for his cute DIY Halloween Costume are some different colored balloons and a bag. Easy Peasy! One of our most favorite DIY Halloween Costumes For Kids are these clever Old Lady Costumes! Seriously, how cute are these?! 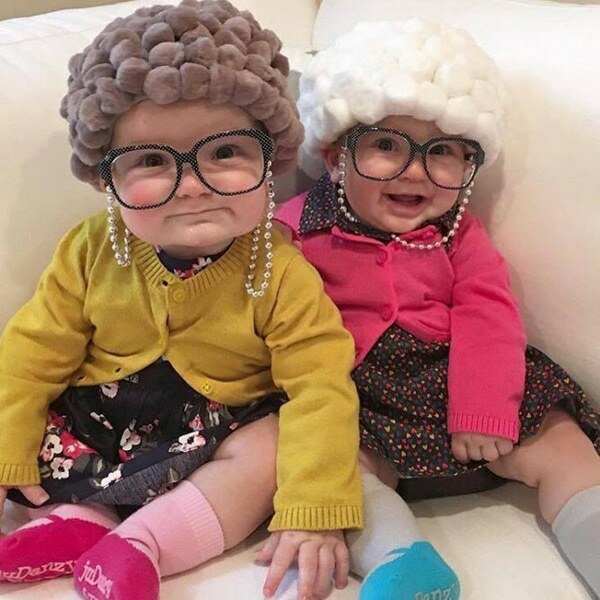 There’s nothing better than some adorable babies dressed as old ladies for Halloween! This DIY Baby Halloween Costume will definitely steal the show at any Halloween party. And those wigs and glasses … too adorable! This is a simple DIY Halloween Costume For Girls that you can put together in no time! Dress up your little one as Raggity Anne this Halloween! 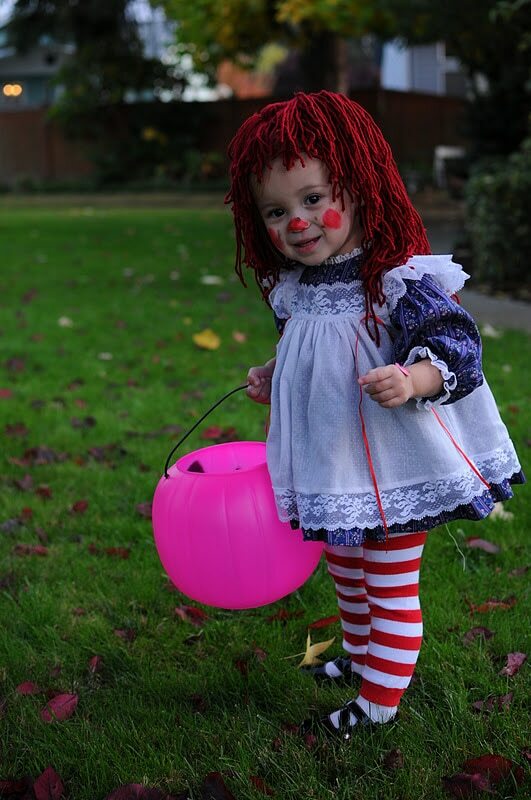 All you need for this simple DIY Halloween Costume is a red wig, a cute blue dress and some red and white striped socks and you’re all set. Oh and don’t forget to complete the look with some adorable face paint. Any DIY Halloween Costume For Girls with a tutu is a win in our book. That’s why this adorable Tutu Scarecrow Costume is on our list for the best DIY Halloween Costume For Kids! 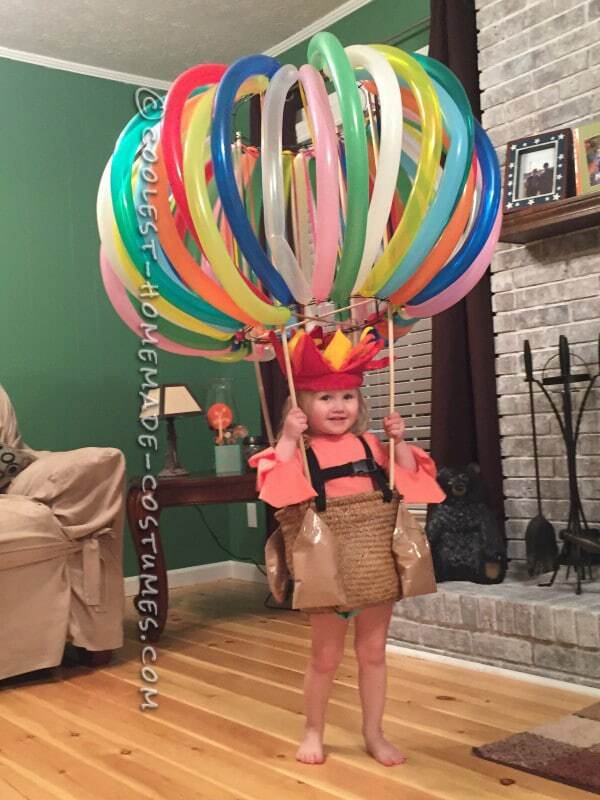 Okay, this Hot Air Balloon Costume takes the prize for most creative and unique! We love the thought and creativity put into this fun DIY Halloween Costume For Kids. This DIY Kids Halloween Costume will definitely win a Halloween costume contest or two! 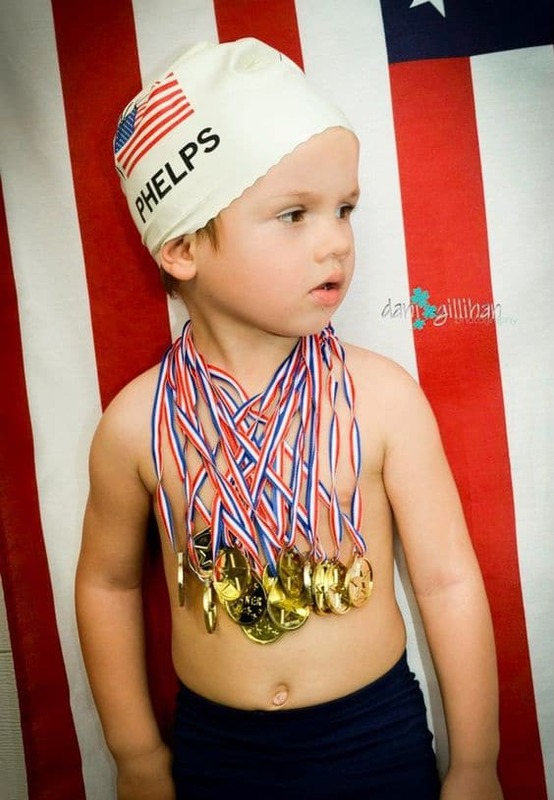 This super simple Michael Phelps Costume from Wife Hat Mom Hat is probably the easiest and least time-consuming Halloween Costume to put together for your child this Halloween. There’s really nothing to it. Just get some blue shorts, gold medals and a swimming cap and you’re ready for Halloween night! This Easy DIY Kids Halloween Costume is definitely a gold medal winner in our book! 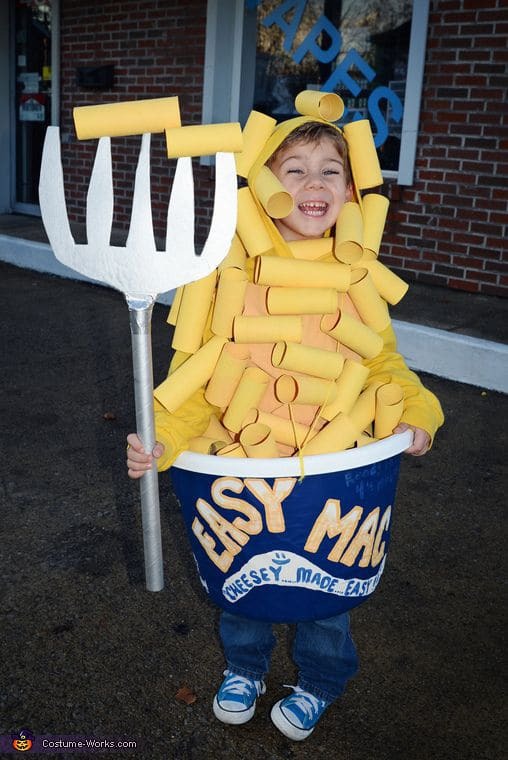 This adorable Mac and Cheese Costume is one of the most clever DIY Halloween Costumes For Kids! This DIY Kids Costume would be perfect for a boy or a girl. 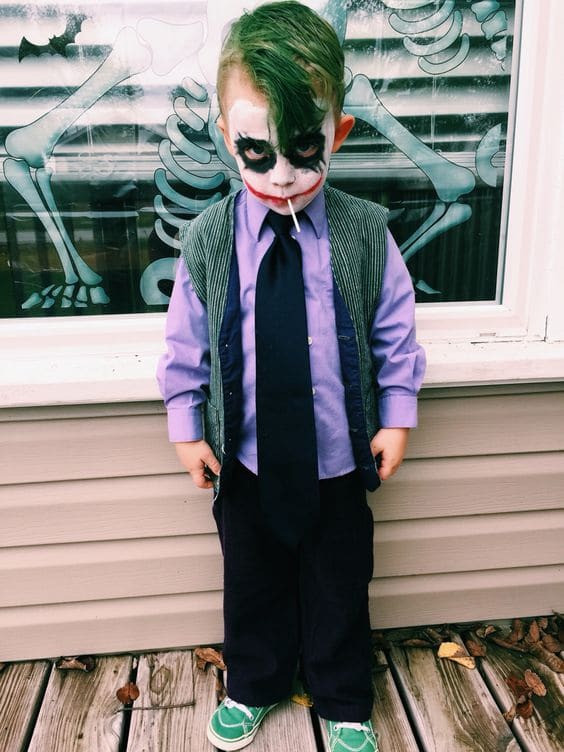 A little makeup and some clothes that you probably have in the closet are all you need to pull off this DIY Joker Costume. What a great DIY Kid Halloween Costume Idea! 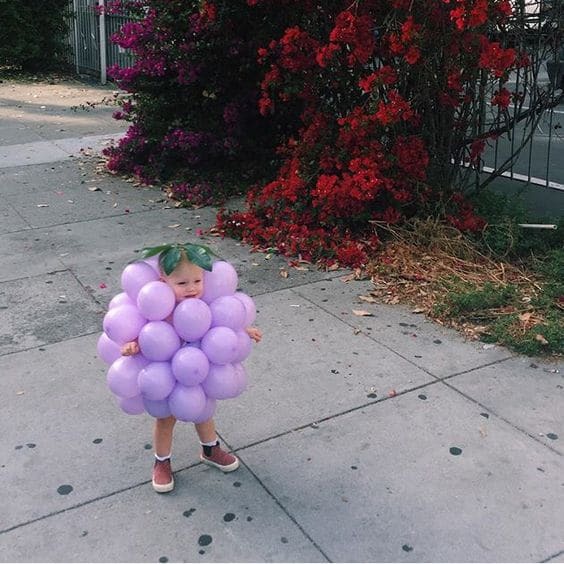 Purple balloons are the only thing you need to create this adorable Grape Costume. Add some leaves to the top of your child’s head and you’re Easy DIY Halloween Costume For Kids is complete. 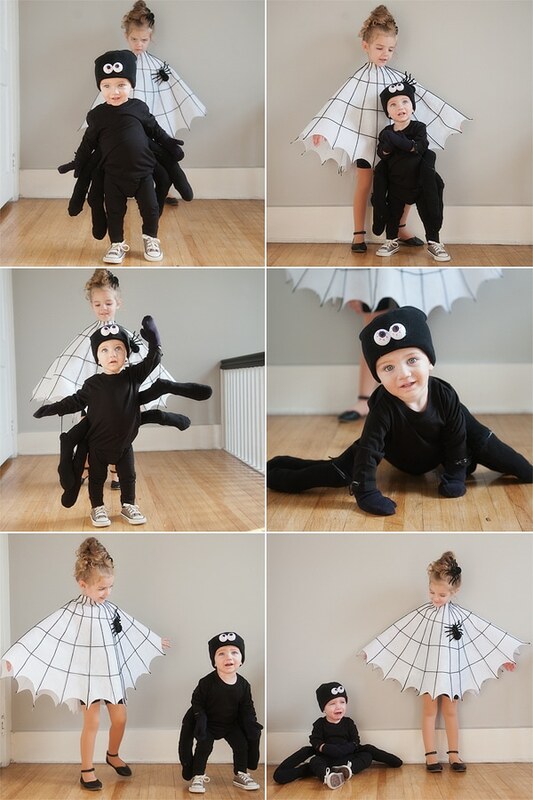 The creative Spider and Spider Web Costumes are perfect for siblings. One child can be the spider and the other the spiderweb. It’s also perfect for boys or girls. Well that’s our list of 14 of the best DIY Halloween Costumes For Kids! What’s your favorite homemade Halloween costume? Let us know in the comments below. For more Halloween or party ideas, follow us on Instagram @prettymyparty and Pinterest and join us in our private Facebook group. Hi can you please tell me how to make this? ?